When spring rolls around, the residents of our Houston, TX apartments really start to enjoy the parks around town. 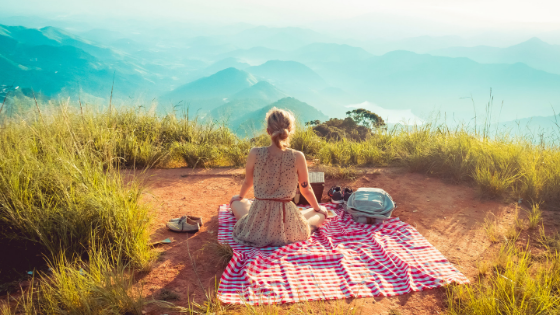 To help you make the most of this marvelous season, we've compiled a quick spring-picnic-planning guide! You have a much better chance of enjoying your afternoon if the weather has a sunny outlook. Try setting a date and time when the weather is free of rain or other obstructions that might get in the way of your outdoor plans. Nobody said you have to stick to ham-and-cheese sandwiches. You can get pretty fancy with picnic food. Be careful about food that can spoil in the sun and heat. Meat (especially deli), cheese, and food that contains condiments, such as mayonnaise, are particularly susceptible to foodborne illnesses if they're not kept at the proper temperatures. Make sure those types of meals stay in the cooler with ample amounts of ice. Aim to make just enough food to feed your crew. Leftovers aren't a good idea when you've been picnicking. Make cleanup easy on yourself by having some plastic bags on hand. A trash bag or two is a good idea as well. Put trash in the bags as you go so you don't have an overwhelming mess to pick up when the fun is done. A lot of public parks don't allow glass bottles. Instead of subjecting yourself to potentially stiff penalties, buy your beer in cans and get a wine that comes in cardboard containers. Put that assortment of condiment packets you've accumulated from all your adventures in dining out to use. Little ketchup, mustard, and mayo packets take up a whole lot less space than bottles. When you live at Haven at Eldridge, you can enjoy Houston's sunny weather without ever leaving our community. Our resort-style swimming pools and BBQ grilling area will give you endless entertainment and relaxation all summer long. Check out the other awesome amenities we offer!